Chè is the Vietnamese term for a wide variety of traditional desserts. They are considered the best-kept secrets of Vietnamese cuisine and we are thrilled to share them with you. Chè comes in various forms. There are warm, hearty chè dishes for the winter breeze. There are cool, refreshing chè for sweaty summer days. There is a chè for everyone. Some chè are beans based, others showcase local fruits and fragrant plants, including aromatic pandan leaves and coconut milk which feature in most chè. Egg and dairy are conventionally not part of Vietnamese cuisine and therefore most of ‘Che’ are vegan friendly, dairy free and gluten free. Che were the special treats that nurtured our childhood and continue to add sweetness to our adult lives. 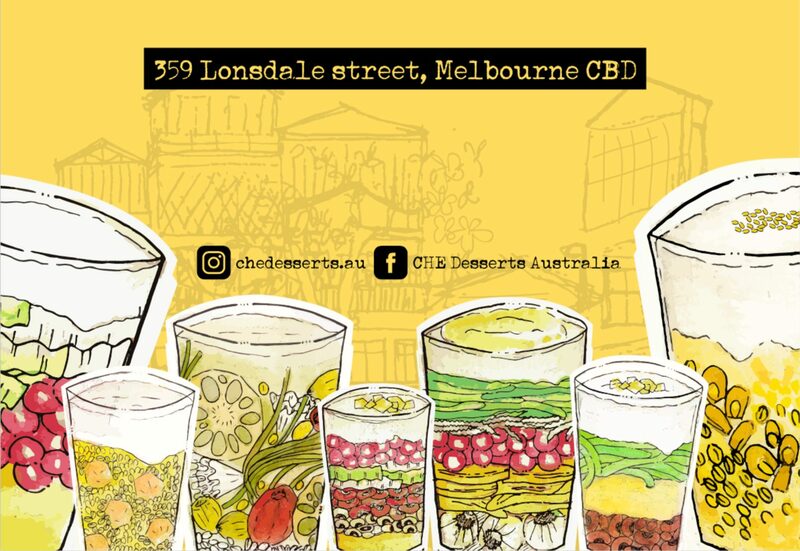 With the ambition to soothe nostalgia of Vietnamese expatriates and more importantly to share such delightful experience with the wider community, we created CHÈ Desserts, or CHÈ for short. We are excited to be the first in Australia to showcase a variety of Che dishes in a formal business platform. Determined to do it right, we travelled back to and throughout Vietnam to gather our inspirations. We were fortunate enough to meet with a celebrity chef, a veteran in traditional sweets – Mrs Thu Pham, who helped us hand pick the menu. We are humbly thrilled to turn family recipes and traditional values into something tangible at a larger scale without compromising the authenticity. At CHÈ, we embrace the traditional cooking style. We source only the freshest ingredients, extract natural food colouring and make fresh pots daily. Just like how our grandmas’ did it! That is and will always be our commitment to you, to our Chè lovers.